I joined my first ever podcast this past Sunday with Jamie from Black Girl Nerds and Eric Dean Seaton, a TV director and graphic novel author. Since Seaton is a TV director, we talked a bit about that as well as his graphic novel series Legend of the Mantamaji, which stars a black superhero. I was super nervous, but I’d met Seaton briefly at NYCC, where he successfully sold me the advanced three-pack of his graphic novel, and had prepared questions in advance. 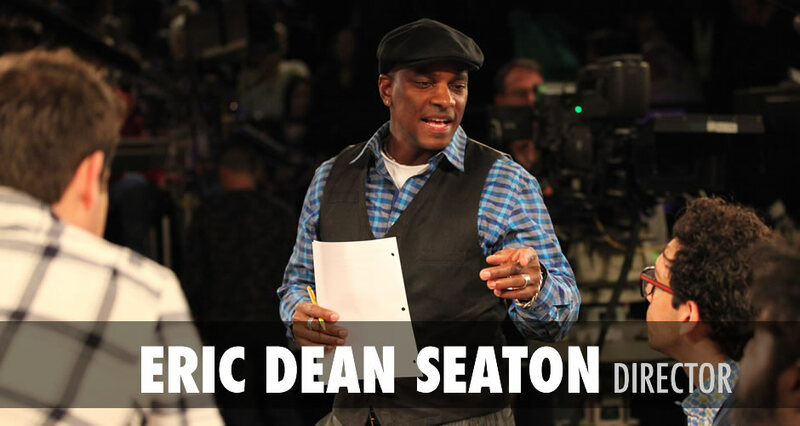 Seaton worked on a lot of great shows like Living Single, Smart Guy, and That’s So Raven. He currently directs for quite a few Disney Channel original shows, including Austin and Ally, and has done a few “grown up” TV shows as well. It was great to speak to a black director, as that’s just another arena where people of color are underrepresented. He was super easy to talk to and very forthcoming about his experiences in both television and publishing. I really enjoyed myself, learned a bit about television, and did something new (hard for introverts like myself to do). Click through if you want to listen; I’ll be doing some more next year! #BGNPodcast In Case You Missed It: Eric Dean Seaton of The Legend of the Mantamaji – Black Girl Nerds. Have you given any cootiderasinn at all with translating your web site in to Spanish? I know a small number of translaters here which might help you do it for free if you wanna make contact with me personally.